Every October, as the temperatures start to drop, homeowners in Muskego, Waukesha and the surrounding areas of Wisconsin begin to prepare their homes for the approaching winter. Therefore, furnaces need to be cleaned, storm windows and doors should be installed and gutters should be checked for debris. Many think that yard clean-up can wait until spring, this is one chore that should NOT be put off. Yard landscaping doesn’t begin in spring – the best time to prepare your lawn and landscape for next year is right now! Contrary to popular belief, yard landscaping for next spring does not start next spring, but rather, the best time to prepare your lawn and landscape for next year is right now. 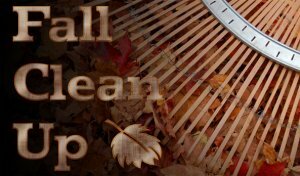 Legacy Landscaping, LLC, a professional Wisconsin landscaping company, would like to offer homeowners a few tips to help with their fall landscape clean-up. Rake your lawn; this will not only remove unsightly fallen leaves, it will raise thatch to provide for better aeration. Prune trees, shrubs and hedges; trim back overgrown areas and remove dead limbs before they weaken any further under the impending heavy snow. Clean up flower beds and vegetable gardens; remove dead flowers, unpicked vegetables, twigs, debris and leaves; also be sure to turn over the soil- this will provide you with a clean slate for next spring’s plantings. After the first heavy frost, remove any blackened plants including petunias, marigolds and zinnias; remove and destroy any plant stems on any perennials which may have diseased foliage; this will result in fewer problems next spring. Protect young plantings from heavy snow and strong winds with simple windbreaks. Do not mow your lawn too short at the final mowing; keep it at least 1.5 to 2 inches high. Finally, if you are not a “do-it-yourself” kind of person, Legacy Landscaping, LLC is ready to help! We offer professional landscape maintenance services to home and business owners throughout Southeastern Wisconsin and the rest of our service area to help prepare your yard for the upcoming snowy months. We also offer snow removal services for when the white stuff finally arrives. This can be taken care of if you would like more information, contact Legacy Landscaping and request a quote. Contact us at 414-235-3212 or Click the Request Quote tab here in our website.